Art Impressions Blog: GIVEAWAY: Win FREE Admission to a 2019 Scrapbook Expo Show! GIVEAWAY: Win FREE Admission to a 2019 Scrapbook Expo Show! Today, you are seeing a special blog post for our 2019 Stamp & Scrapbook Expo ticket giveaway! We LOVE seeing Ai fans at stamp shows! 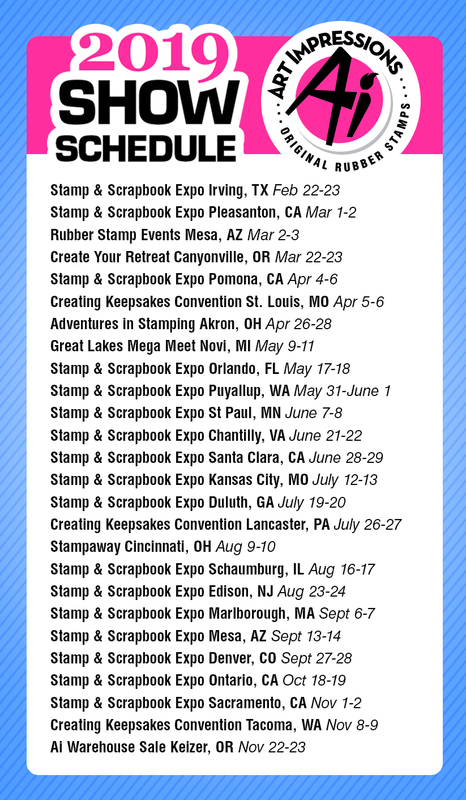 In 2019, we are attending 17 Scrapbook Expo shows around the country, and we want you to come and say hello at your local show! To kick off our travel season, we are giving away SIX free admission tickets to any Stamp & Scrapbook Expo! At the shows, not only do we pack our booth full of our newest products, but we also offer a free make and take every day, demonstrate our watercolor technique, and of course, offer our famous Watercolor Workshop! Enter below using our Rafflecopter, you do not need a Facebook account to enter, you can sign up with an email. The giveaway runs through February 13, 2019 at 5:00pm Pacific Time and winners will be contacted within 24 hours. Good luck and we hope to see you at a show this year! View our full 2019 Show Schedule! That would be so awesome . Shall keep my fingers crossed and hope for the best. Already registered for the St Louis/Collinsville show, and already signed up for you watercolor class. Took it last year. It's awesome. Looking forward to attending a show. So looking forward to seeing AI at the Puyallup show May 31! I got hooked on watercolor at the show last year and there's no turning back. You make me look talented! Would love to win tickets! Went to the Chantilly show for the first time last year. It was great! Thanks for the opportunity! I love all the AI product! Sacramento is closet to me. I live in Roseville CA!! Can't wait to see you!! I've been trying to get out to Schaumburg's event for a couple of years now. There always seems to be a conflict. But not this year! Looking forward to seeing you there! Mega meet in Novi Michigan! I love attending Bonnie's classes! How exciting! I attended the Chantilly, VA Show last year. I stopped by Art Impressions Booth and was so inspired. I fell in love with all the products. I visited and bought all weekend! Can’t wait till this year show and see all the new products in person! I went to the Chantilly show last year, your class was awesome! I'm definitely going again. I love this show! Can’t wait for it to come to St.Paul, MN! I would love to win tickets to the Duluth Ga show! Thanks for the chance! Love your stamps! Even without a free admission, I'll be in Orlando to see you. Your products are quality made and time tested. I still use the first stamps that I purchased from you years ago. Looking forward to taking this year's Watercolor Workshop at Schaumburg, IL. I have attended Chantilly for the last four years and have taken the watercolor class every year. This is the first class I sign up for and it continues to be my favorite class. Can’t wait for the NJ Expo!! I would love to attend the St Paul, MN Scrapbook Expo. I know I would learn tons of information and find out the latest trends! Already have my calendar marked, see you there in Marlboro, MA in Sept. I love Art Impressions watercolor stamps. I look forward to seeing you at the Expo in Massachusetts. Thanks for this chance to win tickets to the Scrapbook Expo! Always a favorite of mine! I would love to win a ticket to the Chantilly, VA scrapbook expo show. I love love love the watercolor stamps! Am very excited to attend a watercolor class at the St. Paul expo in June. Would love to meet the creator of Art Impressions watercolor stamping. I have been using the stamps for many years and just love them! The Duluth GA show is the closest to me, only about an hour away. I go every year!!! I love the Scrapbook Expo. I go every year and get to see the new things out there. Go to classes and run into fellow crafters with the same passions I have. It is a highlight! Cant wait to go in Orlando and see your booth. I love to see all the products in person. Free admission to the Expo would be a wonderful prize. Thanks for the opportunity! I love love love your watercolor products. I've taken 2 classes. Learned so much !!! Looking forward to expo in Duluth ga.! Always love that show!!! Would love to win free admission to Scrapbook Expo. I always enjoy attending each year. Looking forward to July and the Duluth GA show. Wish your warehouse was closer to me. I'd love to attend one of your warehouse sales, but sadly for me, Oregon is a long drive from Georgia. The closest show to me is in Irving, TX (from Louisiana). Thanks for the chance to win, would love to go, see your booth, & meet your artists! I look forward to the Scrapbook Expo Show every year. Getting together with my crafty friends and seeing all the fun products at the show makes a girl smile. We have so much fun and learn so much too. It will take your breath away when you walk through the doors! I look forward to the one in Mesa every year! So excited to see the schedule. Now I just have to wait for class registration. See you in September in Mesa. I go to the Edison show. You are my favorite booth. I might gontonLancaster this year too. I so enjoy a big trade show. Thanks for the chance! I love AI and your classes are the best! Love the Art Impressions way! You have changed my life, bringing such joy and entertainment and now enhancing my Bible Study too! Are always fun and informative and very helpful. I am so excited for this year’s expo. Hoping to attend your class in Orlando again! Wishing you a successful season. I can't wait to attend the show in Marlborough MA! I'm very interested in taking more classes this year! Went to my first show last year in Chantilly. Love, love, love it. Already planning this year's. Met the Art Impressions husband who checked me out. Enjoyed our conversation. Spent most of my $$ at their booth. Love their designs and products. Can't wait til June! I am a watercolor junkie, thanks to the Paper Forest in Washington, Il. I attend the Schaumburg, Il show. Love your booth and products. I love AI! Went to the Ga show and took the class and it was wonderful! Would love to win tix for Irving,TX upcoming this month! Thanks! I can't wait for a) the show and b) the AI Class! I hope Bonnie can get away from the floor to teach a couple of them! I love it that AI comes to the show in MA that is a reasonable distance from me. I helped in the booth last year and had a great time meeting staff and customers. I love Art Impression!!! I also love Great Lakes Megameet. See you there!! See you in Duluth, GA! Would love to win free admission, thanks for the chance. This one is closer to me. Can't wait until August Expo is such a blast! Thank you for offering a chance to win tickets - I have been a fan for years! & go to your classes! Always love adding to my AI collection. Enjoy your watercolouring videos. I went to the Santa Clara Expo In 2015, I’m ready to go again! Thank you so much for this opportunity to win a great prize. I am so looking forward to the Expo in Schaumburg, IL in August! I always stop by the AI booth when I am there. I think the Mesa AZ would work great for me. Thanks for the Giveaway it would be wonderful to win. Mase AZ would be wonderful! I would love the chance to visit you at the NJ or MA show!! I always have a wish list when I visit your booth!! I'd love to win an admission to the Puyallup WA show! I'm definitely going! Please pick me! I am SO looking forward to summer in MN!!!!!!!! Puyallup, WA is the closest!! Looking forward to seeing you at the Sacramento Expo on Nov 1&2! Look forward to seeing you in Novi, Michigan! Stampaway USA in Cincinnati is the closest ...attended for several years now and love it. St Paul would be my show of choice. I have taken your classes for a couple years and look forward to taking more! Thanks for the chance to win. Would love to win a ticket to the Expo. I attend the Mesa AZ Expo every year. Love AI products, especially the watercolor stamps. Plan to go to the Sacramento Expo in the fall and see you at the Warehouse Sale! Love AI water coloring and Bible Journaling. The Puyallup, WA expo is nearest me and I will be attending it again this year!! Looking forward to seeing this booth at the Orlando, Florida show! I would like to take a class this year! Always look forward to your booth at the Denver CO show! I usually attend the card show in Ontario, CA. Enjoy it every time. It is best to browse the AI booth to see all the great new stamps they have! You booth is always on my list at a must see/purchase at the Duluth GA show. So glad you are returning this year. I always attend your classes and love your products! I just entered the contest for the Orlando location. I love this company, always great to work with. I have been collecting AI for 15 years. Every year I buy the catalog. So whenever a present is coming my way I tell them to look at my catalog! I have never been to their events. They are usually to far away. I can get to Orlando though. I love visiting the booth at Adventures in Stamping in Akron, Ohio. I usually go both days. Would love to see you at a show. Have always want to take s watercolor class from you. I have taken many of your classes over the years! One of my Favs! I usually see you at the Duluth, GA Expo! Love your stamps and I'm looking forward to seeing the new dies you have at the Pleasanton Expo. thanks for the chance to win! Love your watercoloring! I am new to stamping and love your Watercolor Wednesday series. I love attending the Chantilly show and taking classes. Hope I win the ticket. The watercolor wed videos are wonderful for a novice like me. I have a few more stamps to add to my AI collection, cant wit for the Puyallup show. Thanks for the chance. I'm in the intermountain west and closest show is 10 hour drive. Instead of the closest, I plan to go to Texas show and visit family. Looking forward to attending the Schaumburg, IL show! I've been to a couple of classes and always visit the booth at the Chantilly, VA show and looking forward to 2019! I would be attending the show in Denver, CO. It sounds like a lot of fun and hope to learn some new techniques! 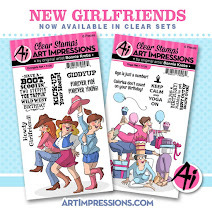 I love Art Impressions stamps! I am planning on attending the Pleasanton and Sacramento, CA shows. I always get something from you at the shows. See you at the Pomona CA Show. Taking another class. Love Ai and all the New Innovations in stamping, over the last few years.Taking your classes, keeps me current on Technics. Bonnie,Kendra and Kate are all great instructors. I'm in Georgia. Looking forward to the next show and class with AI in July!! Thanks for the opportunity to win. See you at the Mesa show! Wow, I love to win some tickets. 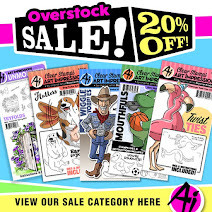 I fell in love with your company and stamps about 3 years ago, I have made some awesome cards with them. I also have taken 2 classes of yours at the expos, love them I always learn something new. Never miss the Expo in Orlando Fl. Can't wait to see everyone from the Art Impressions booth. Would love to win the admission tickets. Looking forward to seeing you again in Schaumburg, IL! Also, hoping to make it to the Milwaukee one. Keeping my fingers crossed. I really enjoy going to Scrap Book Expo in Pomona to get the chance to find stamps that I can see and buy! I really like Ai products and being shown techniques! Would love to win tickets for the show in Puyallup Washington. I always go to the St Paul, MN Expo. So fun! I love it even more that you guys have been doing classes there! I go to Edison, NJ! Can't wait to see you in Sac! Chantilly VA show would besi much fun because we have never been to a scrapbook expo before! Thanks for the opportunity to win tickets! The Stamp Expos are the highlight of my crafting year. I love to learn all the new techniques. Love AI products great workshop by Kendra too! Love to attend the Expo in Mesa, AZ and also in Duluth, GA each year. The highlight is always attending the wonderful Watercolor workshop and then shopping for all the wonderful new Watercolor stamps and supplies. Love watching the demos on using the watercolor stamps. See you at the Expo! Fingers crossed! Thanks for the chance to win. Can't wait for the Kansas City expo! I am looking forward to going to the show in Edison, NJ. Definitely going to Mesa Az Expo which is closest to me but will also try to go to the Expo in Ontario Ca. The Puyallup show is the closest show for me. Would love to go! See you in Edison either way! Already have plans with my friend from elementary school to visit the Pomona show! A free ticket would let us shop even more! Ontario is the closest to me. My daughter and I are planning to attend the Ontario Expo in October. Free tickets would make the weekend that much better. It has been too long since I attended one of these - usually go to the Puyallup show which is a bit of a trip but closest to me. Would love to see you at the show and check out your class! Once I say how to do the watercolor projects I was hooked. I love the AI products and enjoy taking their class at Scrapbook expo. My first year I wasn't sure the fee was worth it, my friend took the class and I was so sad to have missed it, it is definitely worth it. I've taken it each year since then. Love the products and projects. Maybe I'll see you this year in VA. Thanks for a chance to win! I've been going to the Schaumburg, IL, show for the past 8 years! Would love to see you in Schaumburg. Would love to win tickets to the Puyallup Scrapbook Expo! Looking forward to the so cal shows, Pomona and Ontario. Getting more excited daily. See you in Irving! I have never been so would be awesome to win and attend! I discovered AI at last year's Expo in Virginia, and I'm so excited to see you again this year! I just love your watercolor line!! Would love to win tickets to the Expo and see you guys again this year! Copyright Art Impressions 2017. Watermark theme. Powered by Blogger.